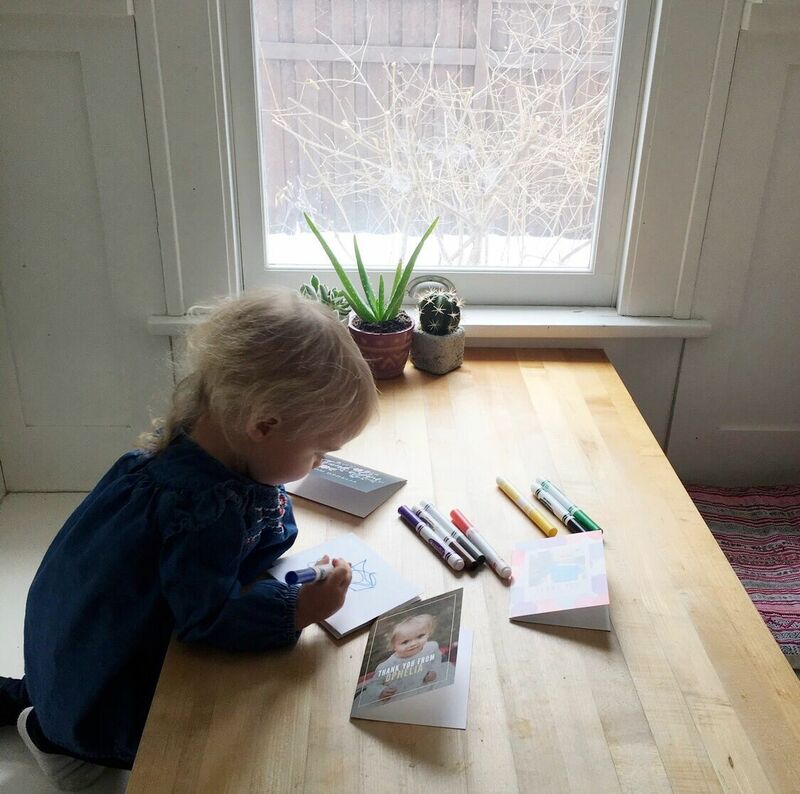 Thank you notes! 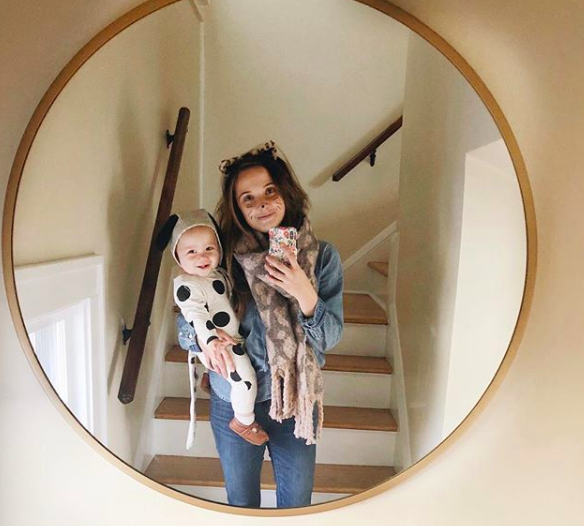 How many times did my mom drill me on the importance of thank you notes during my childhood? Only about a zillion. I remember way back when, before I could even write working on my thank you notes after every birthday and Christmas. 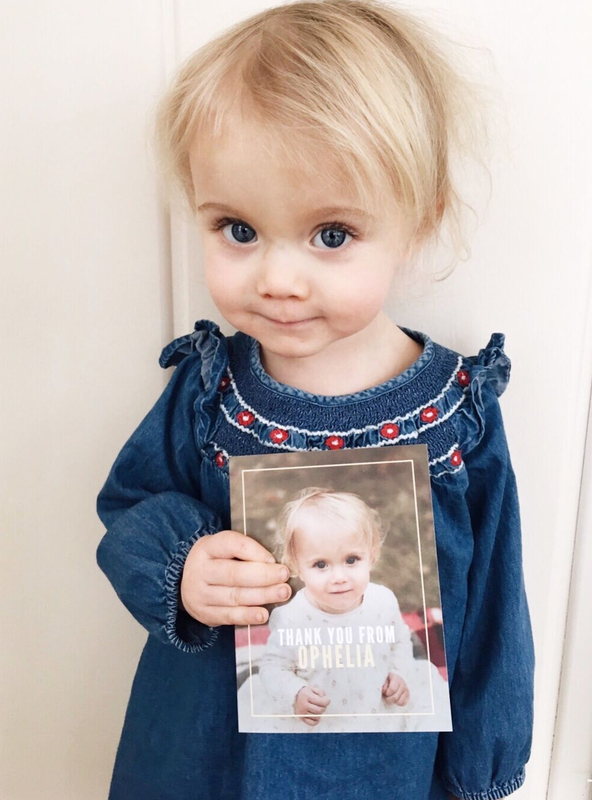 And now with Ophelia I definitely want to continue to encourage her to express gratitude and thankfulness. Luckily the options are so much prettier than when I was a kid! 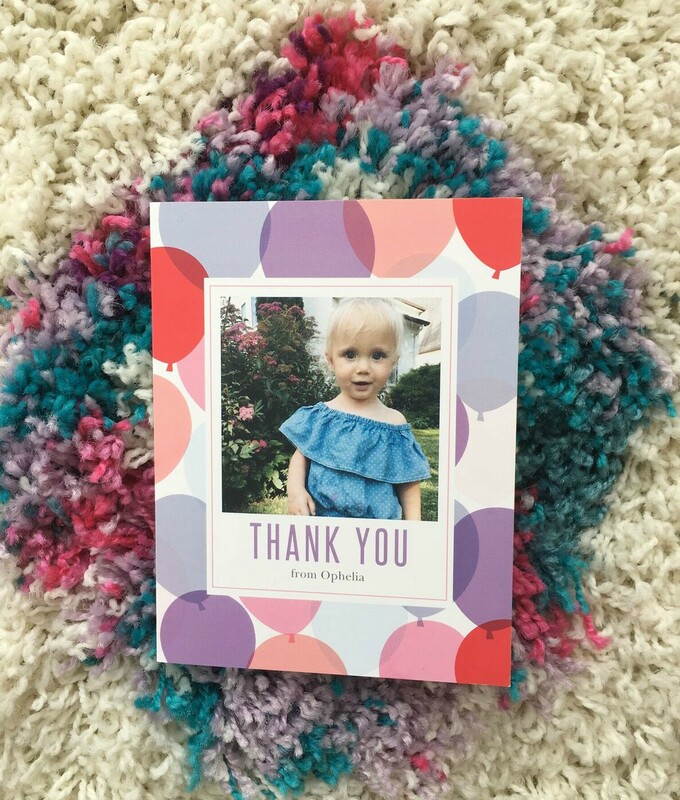 I worked with Basic Invite to create custom photo thank you cards for my little bunny and they are seriously adorable. I also had to get this floral one, because I just can't resist anything floral! I love the Basic Invite platform- they were super easy to work with, and all of our cards turned out perfectly. Thank You Cards - They carry over 1500 thank you card designs. Each one of them customizable to suit your style. 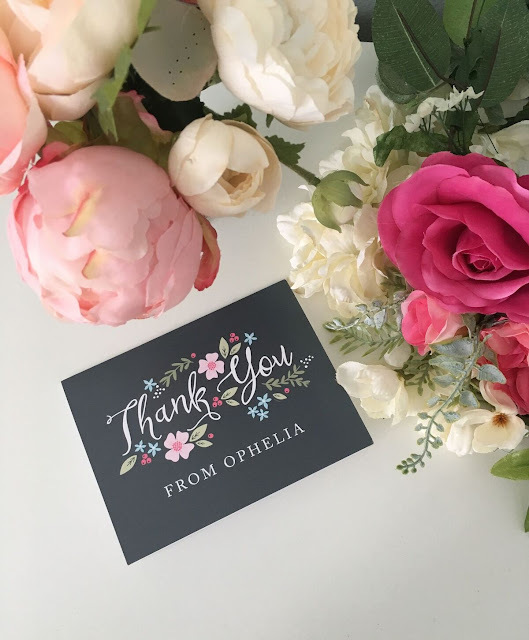 We have a thank you note for every occasion and our designs vary from foil to photo and everything in between! We had a lot of fun working on our thank you notes. Thank you to Basic Invite for making it so pretty!